Duncan is a Researcher in the Digital Creativity Labs at the University of York, UK. Prior to this he was a Research Fellow in Music with Artificial Intelligence, working on an EPSRC funded project on a Brain-Computer Interface for Monitoring and Inducing Affective States with Eduardo Miranda and Alexis Kirke at the Interdisciplinary Centre for Computer Music Research (ICCMR) in Plymouth, UK, and a post-doctoral Research MCR at Wolfson College Oxford, and Music Technology Officer in the Faculty of Music, University of Oxford, UK. 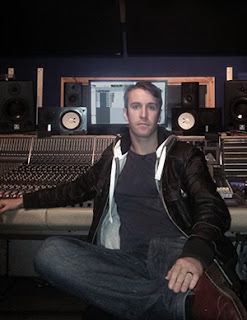 In industry, Duncan worked at Jacobs Studios, Surrey, one of the UK's most popular residential recording studios, and in a freelance capacity in many of London's studios (Riverside, Maidstone, Metropolis) on projects ranging from DVD authoring and surround production, to library music, classical editing, and independent and major label recording. 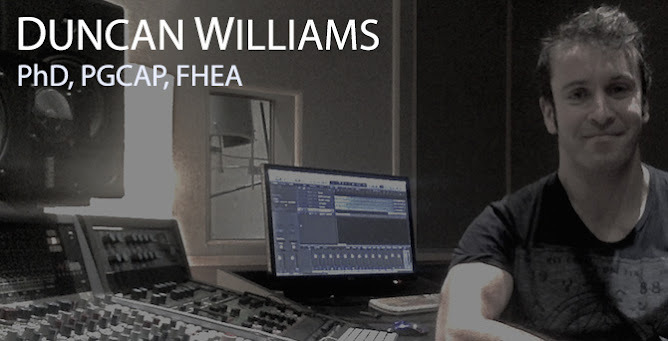 His production work has been broadcast on BBC Radio 1 by Colin Murray, BBC Radio 2 by Mark Radcliffe and the late John Peel, and XFM by Claire Sturgess and Ian Camfield, as well as been playlisted on Totalrock, Scuzz TV, MCM France, and Extreme Sports TV. As a musician and composer, Duncan has been published across the globe and has performed both nationally and internationally, including studio and live prime-time television performance (often in truly embarrassing contexts). Recent published work includes library music for EMI Production Music, SonyATV, DeWolfe, and KPM MusicHouse, with television credits on MTV, MTV Classics, and ITV. He has performed at Rock Im Park (AUS), Hard Rock Hell (UK), and on live TV with Bernie Nolan and Mylene Klass (Channel 5 - don't ask...), amongst other UK and EU performances including the London International Music Show at the ExCEL centre. Contemporary music performances include concerts at the Royal College of Music, London (2015), International Computer Music Conference in Athens, Greece (2014), and installations at Los Angeles' UCLA Art|Sci Gallery (2014), and the Peninsula Arts Contemporary Music Festival in Devon, UK (2013-14). See the showreel page for full details.